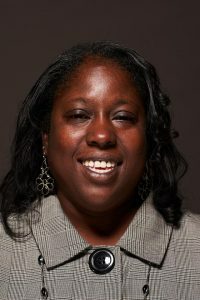 Dr. Adrienne Coleman, a nationally recognized speaker/researcher, serves as director of equity and inclusion at the Illinois Mathematics and Science Academy (IMSA). In this role, she assesses potential barriers and develops strategies focused on recruiting and retaining a diverse workforce as well as underrepresented student population and designs training initiatives to increase awareness and support of equity and inclusion values, and maintaining compliance with applicable laws. She previously worked at Rutgers University as a Program Development Specialist, Research Assistant and Adjunct Faculty with the Bloustein School of Public Health as well as at Illinois State University as a Health Educator. She has served as an AmeriCorps member and has been part of the United States delegation team that assisted Moldova (Eastern Europe) in addressing issues of human trafficking and inadequate health education. Dr. Coleman is the recipient of the 2018 IMSA Presidential Leadership Award, the 2018 Top Ladies of Distinction Hidden Figures Award, the 2016 NAACP Trailblazer in Education Award, the Leon Lederman Scholar’s Award for year’s 2013 – 2017 and the IMSA 2012 E = MC2 award. Her areas of interest include public health, social justice/diversity education and higher/gifted education. She is a qualitative researcher who has examined the motivation of Black and Latino students to engage in the STEM education and careers. Her research has informed STEM programs throughout the nation including the NAACP, James R. Jordan Foundation and the American Statistical Association. She hopes to contribute to the education and economic development of Black and Latinx communities by continuing her research on the motivation of culturally and linguistically diverse students engaged in STEM, ultimately strengthening and diversifying the STEM education to career pipeline. Dr. Adrienne Coleman possesses a Doctorate in Educational Leadership from Argosy University and a Master of Science in Health Education as well as a Master of Science in Higher Education, both from Illinois State University.